Cooking with Corey: Foodie, Oh Foodie, Oh Where Have You Gone?!!! 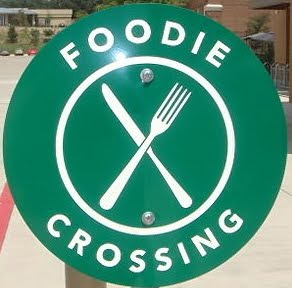 6 Foodie, Oh Foodie, Oh Where Have You Gone?!!! Rest assured, my friends, Corey the Gourmet Foodie With Attitude (G.F.W.A.) has not permanently gone into hiding nor has she been submerged underneath her kitchen pots & pans! I am still here! Just a tad bit busy here, as I've been preoccupied with several other things/activities that are taking precedence right now. As you probably already know, I have 6 blogs, to which I contribute when I can find the time & also, frankly, when I feel like it. So, sometimes I'm in the mood to post about these various subjects -- food, business, art, music, fashion, etc. -- and sometimes I'm just not. I'm just like the rest of you -- I've got a full-life & career, with about a zillion different interests & projects -- so, that means that while I often have the inclination & the interest, I might not always have the time. I do try my best, but as I'm human & only have 10 fingers with which to type, you'll have to forgive me if I lapse on this blog, or any of my other blogs, from time to time. If only I'd been born a cephalopod; then I could really type fast! The only problems would then be (1) a slight language barrier issue, (2) typing 75 words per minute, underwater, and lastly, (3) resisting the temptation to eat the really cool-looking, waterproof computer. ;-) Hey, you never know. Cephalopods have been known to do crazier things. Blogging can easily take over your life if you let it, and frankly, with my 6 blogs, 3 businesses (with myriad fashion & trunk shows & other promotional events), 1 cookbook project, weekly marathon training, & various activities involving 2 cats, 1 fiancé, friends & family, etc., I sometimes feel like my head's going to explode. And then add in the internet information overload. I know it probably feels like you are sitting on a park bench (albeit a virtual one in cyberspace! ), "waiting for Godot," or rather "waiting for Corey to post" on this blog, but I promise you that your patience will not go unrewarded. So, as a small consolation prize for your steadfastness & patience, I'd like to offer up blog content from my other blogs. Your welcome to check out the most recent posts from my running & fashion blogs, both of which contain several new articles, written over the past few days. Bon appétit, & thanks again for your comments & emails, & for being such loyal readers & vocal advocates/fans of my blog! you're an inspiration! one blog can take over your life. six blogs! i have three but one is about 90% the past three months. trying to figure out how to do it all! 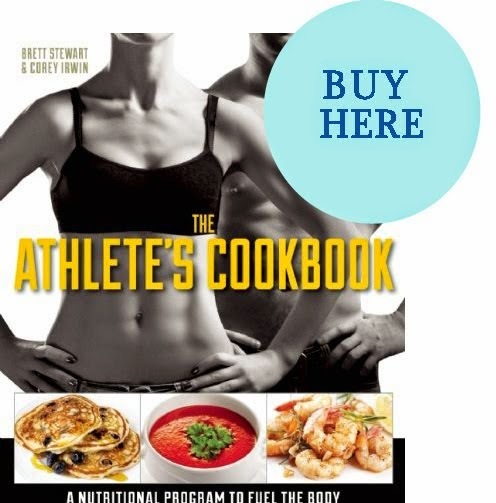 will cut you slack and look forward to some healthy, skinny, recipes. i kickbox and need that kind of nourishment to get the good workout. visit the pet recipe section if you haven't already. some of those recipes sound pretty good! let's continue to do it all together! How do you manage to place that bookmark at the bottom of your page linking to all of your blogs and accounts? Six blogs!?!? Goodness, do you have time for sleep? Hey Corey, we all know how that is. Especially with the Holidays here, everyone is busy. Thanks, everyone, for very nice comments. I'll try respond as soon as I can! Arrrgh! Blogger Template Corruption, Again! Foodie, Oh Foodie, Oh Where Have You Gone?!! !